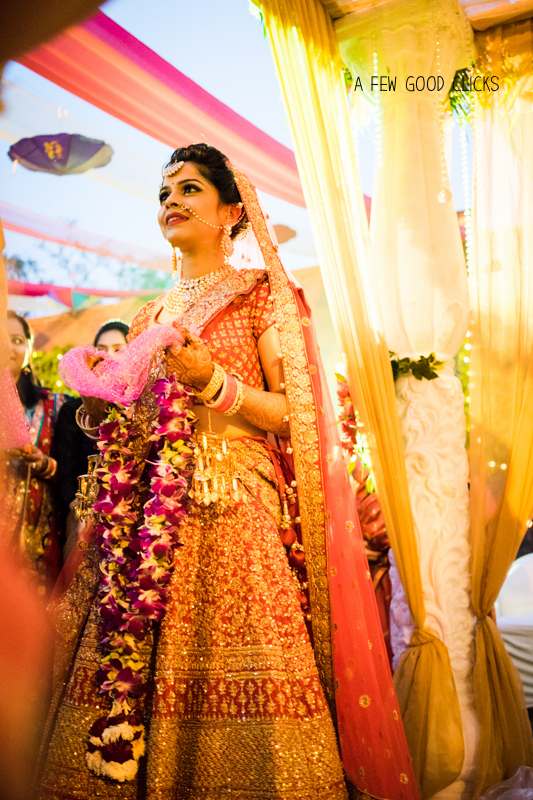 Lifestyle wedding photography by A Few Good Clicks at a destination Indian wedding in Agra, India. These lifestyle pictures of weddings are my attempt to redefine photojournalism in a simple and fun way. You would see these pictures are done with some styling, a bit of posing and some candids. Like the name suggests, these are just A Few Good Clicks of north Indian wedding shot only using one mirrorless camera - sony a7ii and one lens 35mm 2.8. Digitally enhanced in lightroom only. The Great Indian Wedding Wall Portraits - The idea is simple and inspired by my favourite action figurines from the land of pixie hollow put together.The Tinkerbell fans would understand my emotions here. I am christining my wedding portrait collage - "The Wedding Wall". You can expect to see fun and whacky modes of bridal party but this is a time-consuming exrecise and need much more enthusiasm than selfie lovers. Actually, I think selfies are ruining photographers business so a photographer has to constantly come up with ideas on wedding photography poses especially for large groups. 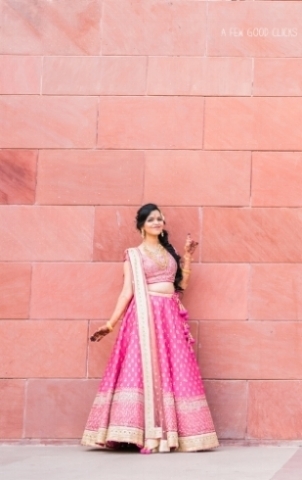 Portraits - I am a big fan of solo portraits of groomsmen & bridesmaid in the Indian wedding parties and this serves two purpose if you wish to have "The Wedding Wall" created from your wedding photos. 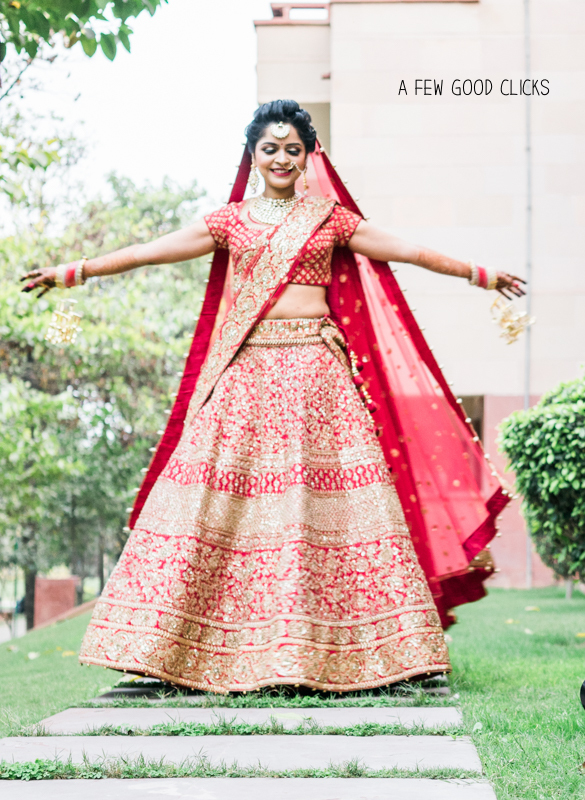 Bridal party portraits during Indian wedding parties adds a dash of their real personalities. I can assure, you will have fun looking at them in future. Children in the Indian Weddings - How can you not have the most gorgeous people pose for you during the wedding ceremony? I know it's a challenging task to get children pose for you so I usually have something to barter with them and often a bar of Kitkat or a handy yo-yo does the magic. Pre-wedding celebrations - Haldi and mehndi are the most common of all the rituals in a North Indian Wedding and always fun to capture the bride to be. Gorgeous Indian bride smile, you'd want to shoot. The Wedding Venue Set Up - Shot at Jaypee palace hotel in Agra. Indian Groom & the bride poses - It's a good idea to keep at least 20 -30 minutes aside to capture the bride & the groom before all the pre-wedding ceremonies. I got these pictures in less than 15 minutes so you have to be on your toes and grab the couple as soon as you can. Be persistent and if it means you have to hang around them while they meet and greet the guests, do it. Pre-wedding couples poses - I do not shy away from asking them to pose and you will be surprised how natural it turns out in the end. Indian bridegroom enjoying haldi ceremony on his wedding in Agra. It's not uncommon to see all the groomsmen wearing similar colour turban ( headgear ) during Indian wedding ceremony. For some reason, I personally love this picture. Mehndi ( Henna tattoo ) ceremony photography - Simple yet elegant mehndi design can really add spectacle to your mehndi ceremony. Minimalist henna tattoo on the hands of bridal party. Young kid enjoying mehndi ceremony during the Indian wedding. Indian Groom's headgear jewelry may be a slim list when compared to bride's long list but it's equally stunning and vital to his attire. 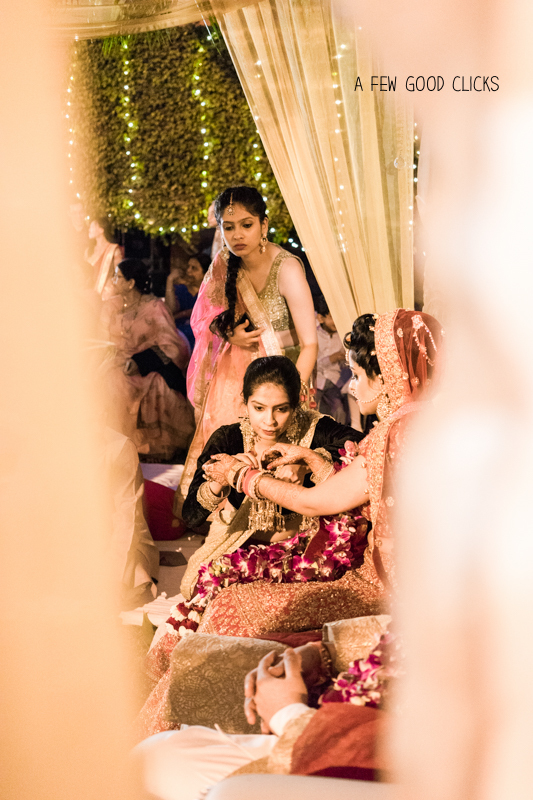 Sehra bandi of Indian bridegroom ceremony . 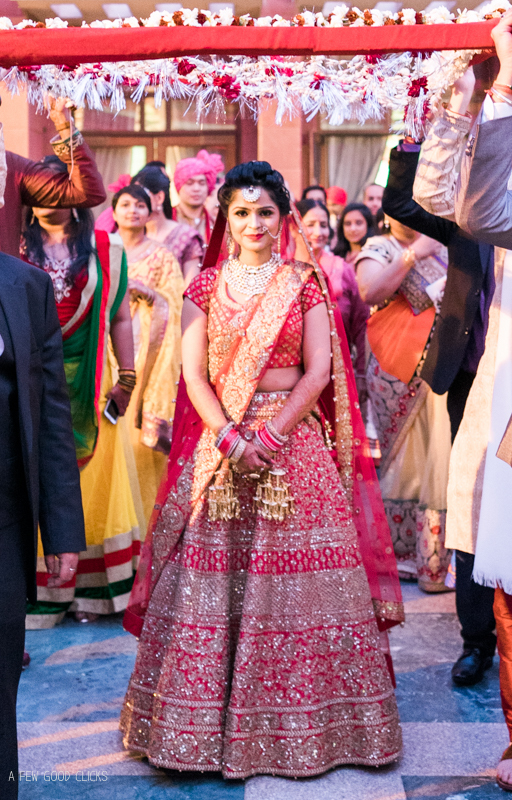 Photos of Indian wedding baraat (the wedding procession) are unmissable. Groom on white horse or elephant carriages - It's a fascinating tradition and still very much followed in North Indian weddings. Formal portraits of closed family - Must have that on your wedding photography checklist. The bride's family welcomes the groom who arrived on a special horse drawn carriage. 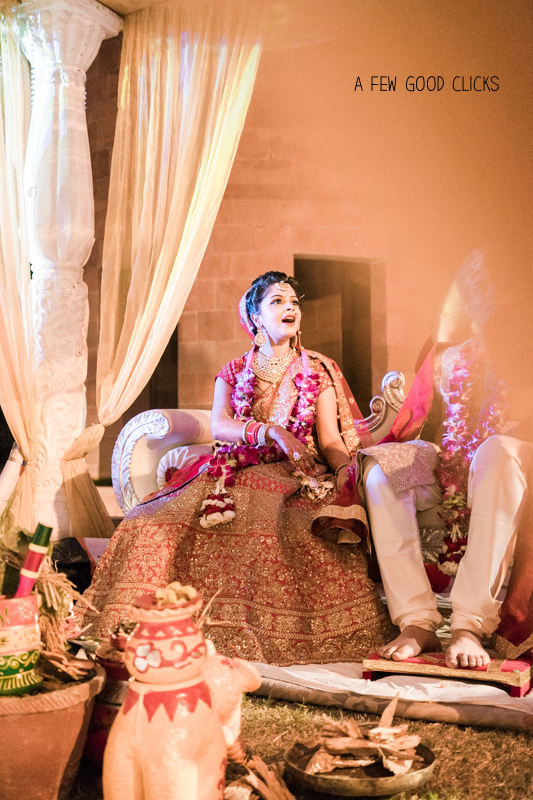 Some more pictures from the entire wedding shot in Agra's Jaypee palace hotel. Do leave a comment below if you liked the pictures and must share it with someone you know may be looking for a lifestyle wedding photographer in USA, UK or India.